The bi-fold brochure is a sleek, timeless design that can adapt to any use you’ll need it for. Sometimes, it's simply called a half-fold. Our free bi-fold brochure templates are modern, stylish, and sized to please. Each bi-fold brochure template is designed by a pro to bring you the best visuals for your brand or business. You don't have to wrestle with programs like Publisher or InDesign to download a print-ready brochure. 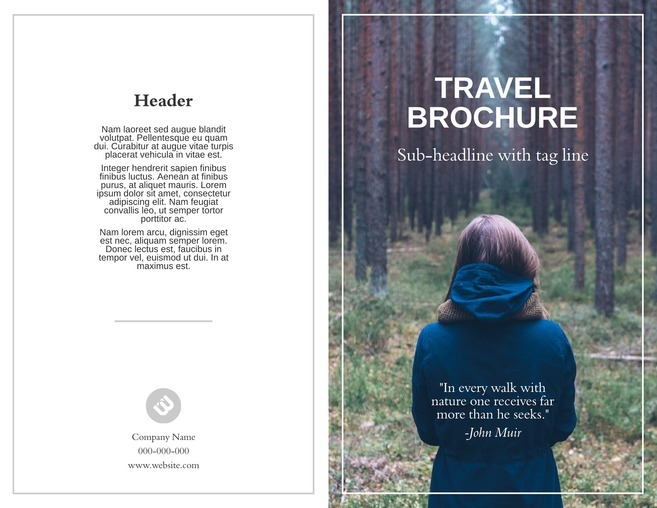 Boost your confidence in your content by opening a blank bi-fold brochure template in Lucidpress and making it your own. Brochures need to get your message across quickly, so using the right design is crucial. The half-fold brochure templates from Lucidpress give you the ability to make a sleek design filled with bold colors and captivating text. With the best bi-fold brochure template, you won’t have to worry about being overlooked. Stand out from the rest, and pick a template that fits the message you’re sharing. Lucidpress offers three bi-fold brochure templates for you to consider. 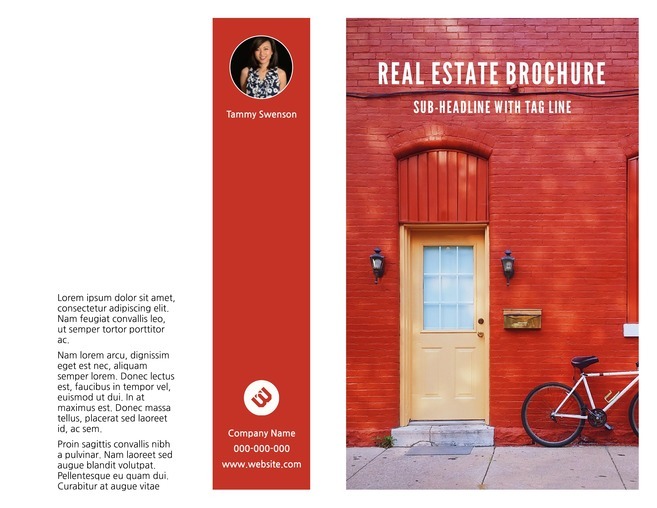 There’s the Avenues bi-fold real estate brochure template, which features a clean design meant to attract new customers. Images take a prominent place on the layout, and information is conveyed in easy-to-read spaces. The Redwood Coast bi-fold travel brochure template is designed to help readers picture themselves in a beautiful location. The contemporary design really lets the photography shine and create a genuine sense of immersion. 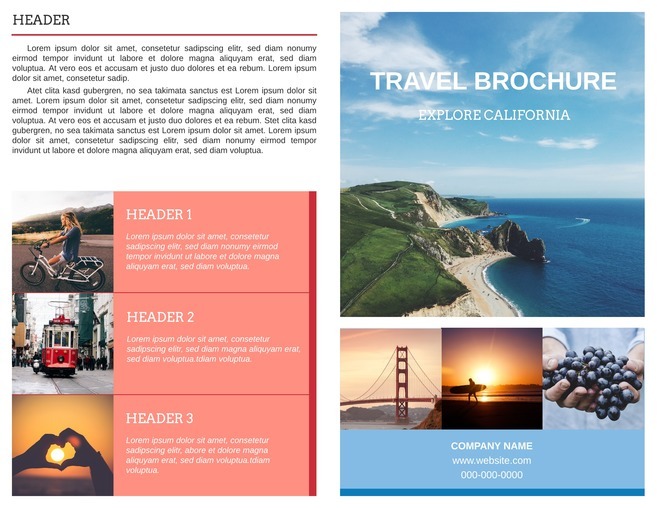 The Golden Gate bi-fold travel brochure template has a more playful design. It’s colorful and features more text so you can expand the information you’re sharing. Choose one of these templates to get started, then customize the design to your own preference. Lucidpress gives you the tools to create something truly unique.